"Be healthier & get more fit." 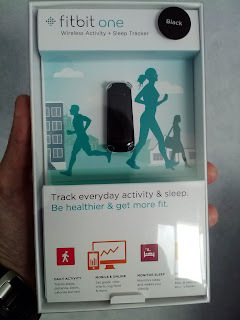 I was excited to see that my Fitbit One came in the mail today. It's a great device, but the packaging copy writers should work on their grammar. My wife has been using hers for almost a year and she finds it an invaluable tool for documenting her activity. It's also a great motivator to reach her daily goal of 12,000+ steps. I love measuring my performance and I'm looking forward to analyzing the data. The software offers lots of features and even a smartphone app. I'll report on my experience soon. Now that I'm no longer commuting into the office every day, my morning routine has changed. 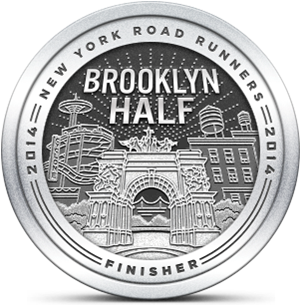 I'm usually up at 5:30 AM instead of 3:30, and the pressure to complete my run on a tight schedule is gone. I now enjoy my morning coffee at my leisure and I spend a little time with the kids before they leave for school. I haven't wanted to run while the middle school and high school buses are on their routes, so I've been waiting until 8:00 or 8:30 to get outside. Today's run was my first workout since Saturday's race and, despite yesterday's rest day, my legs still felt heavy. I moved along comfortably, maintaining my equilibrium pace. My distance target was three miles and I followed a different route for a change of scenery. I hoped that my race-day speed would carry over to today, but that wasn't the case. In terms of performance, it wasn't all that bad, just not especially fast. I wore my Kinvaras this morning and tried to compare them to the Spiras that I wore in the race on Saturday. I chose the Spiras because I thought they'd provide more response on toe-off than the softer Kinvaras. I didn't find that racing in the Spiras (for the first time, BTW) provided that much advantage. I probably need to start thinking about replacing the Kinvaras that have 455 miles on them. I'm wondering if I should start looking at performance trainers.